Temperatures dipped so low in Normandy for the Route des Etalons last weekend that an extra 15 minutes had to be built into the beginning of itineraries to allow for sitting in the car stationary waiting for the windscreen to defrost. Such was the array of stallion talent available to view, setting the alarm clock early was well worth it. The region boasts a world champion, Derby heroes, numerous sires of Group 1 winners and jumps stars and the source of last year's outstanding Flat talent Almanzor. First stop on Saturday morning for the Racing Post team was Haras du Thenney, owned since 1972 by the Riva family, who bred there the top-class miler Mendez, later the sire of influential French stallion Linamix. The ebullient Niccolo Riva was on hand to show off his roster of seven stallions including dual 2,000 Guineas winner Cockney Rebel; Spanish Moon, an exciting jumps stallion whose young progeny includes Willie Mullins' high-class hurdler Crack Mome; and German Derby scorer Waldpark. Another recruit, Pomellato, is a really interesting proposition. Rated one of the best German-trained two-year-olds of all time after winning the Criterium de Maisons-Laffitte by three lengths for Peter Schiergen, he stood one season at Haras d'Etreham but was in scant demand and was sold to stand in Iran. His small French-bred first crop turned out to be high on quality and to salvage him from Iran he had to be exported via Russia back to Germany. The son of Big Shuffle is standing his first season in France since 2010 and deserves more patronage after that start to his stallion career. If you think his early success at stud was a fluke, he also supplied last year's Iranian Derby winner. Not many stallions can lay claim to that (or want to). If Pomellato might have been dreaming of the Persian climate as he was paraded in temperatures of minus-eight degrees, spare a thought for poor Italian Derby winner Cima De Triomphe, who had arrived from shuttling duty in Argentina just a day earlier. The Head family's Haras du Quesnay next, a must-see on the Route des Etalons as the archetype of a beautiful Normandy stud with timbered buildings and manicured lawns. Even the trailers loaded with muck are parked at a picturesque angle. 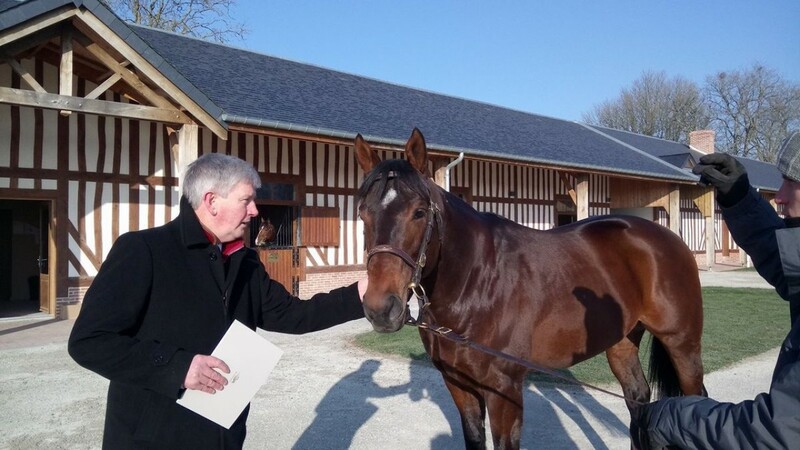 The stallion show is curated by the First Lady of French racing, with Criquette Head-Maarek talking about Anodin, Dunkerque, Fuisse, Intello, Motivator and Youmzain, and taking time to welcome visitors personally in French or English. Head-Maarek gave us an update on National Defense, who brightened a bleak year on the track for her last year by winning the Prix Jean-Luc Lagardere on Arc day by nearly five lengths. “He's done extremely well over the winter – he was a little light-ish but he is heavier now and is filling out and turning into a man,” she said. The nearby Haras de Colleville has risen on the back of Guy Pariente's rags-to-riches sire Kendargent, who started out covering small books of almost only his owner's mares at a fee of €1,000 but has worked his way up to a price of €22,000 after siring Group 1 performers Goken, Jimmy Two Times, Kenhope and Restiadargent. It could be a big year for Kendargent as his two-year-olds were bred off a fee of €15,000, up from €6,000 the year before, and they include the sister to Restiadargent bought by Juddmonte for 525,000gns at Book 1 last year and in training with Roger Charlton. Kendargent is ably supported at Colleville by Galiway – who, as the stud's marketing and communications manager Sally Ann Grassick will never let you forget, “is bred on the magical Galileo-Danehill cross of Frankel” – and the first foal, a filly, by the stallion was also on show as a very attractive advert for her sire. Stud manager Guillaume Vitse reported that Galiway already had 50 mares booked to him before the Route des Etalons, having covered 48 all last season. The base of the burgeoning Al Shaqab breeding empire at Haras de Bouquetot is all about the future, with a fleet of young stallions yet to be represented by their first offspring. First to be tested will be Style Vendome and Planteur, the first recruits to the stud after its purchase by the Qatari operation around four years ago. Style Vendome, a handsome grey son of Anabaa who won the Poule d'Essai des Poulains, has around 75 two-year-olds to bat for him and has been given every chance with 15 of those owned by Al Shaqab and sent to top trainers including Andre Fabre, Hugo Palmer and Jean-Claude Rouget. Palmer has the Style Vendome half-sister to his Classic heroine Covert Love bought as a yearling for €200,000 last year. The brother to Goldikova was five-times Group 1-placed and his first yearlings are on the ground. Haras du Quesnay's Vincent Rimaud reported that breeders were so impressed by his first foals last year there was a large spike in his book size late in the season. 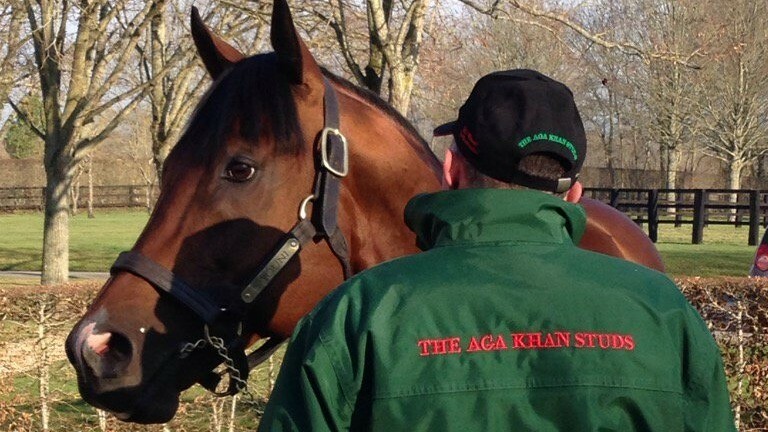 His €7,500 fee buys you top form and an exceptional pedigree. There were shades of Sprinter Sacre about this Group 2-winning stayer (he is by the Champion Chase hero's grandsire Monsun). He covered a good number of mares despite entering stud last April and a large book is expected this year as French breeders have latched on to him. There appears to be a real buzz about Sidestep, a well-bred son of Exceed And Excel who has shuttled from Australia to Haras du Logis for the past two seasons. Several breeders we bumped into commented on his impressive physique and nominated him as their pick of the sires on show all weekend. His fee is only €4,000. Olympic Glory – first yearlings this year – looked the part, as did The Wow Signal, although he is being treated for subfertility, with the best experts in France on the case. The Wow Signal's former trainer John Quinn was in town to get reacquainted with his former stable flagbearer. The fully booked sign has been hanging from new recruit Shalaa's door since December and no wonder, as he has a tremendous physique to match his commercial race record. Bouquetot spared no expense on hospitality, giving away bobble hats and gloves and serving local gastronomic fare including oysters. Considering their reputed aphrodisiac qualities, perhaps they should have saved some for The Wow Signal. Le Havre was the centre of attention at Haras de la Cauviniere having sired two dual Classic winners from his first two crops in Avenir Certain and La Cressonniere. So much so, that the stud's nominations and client relations manager Mathieu Alex was encouraging visitors to have selfies taken with the former Prix du Jockey Club hero. 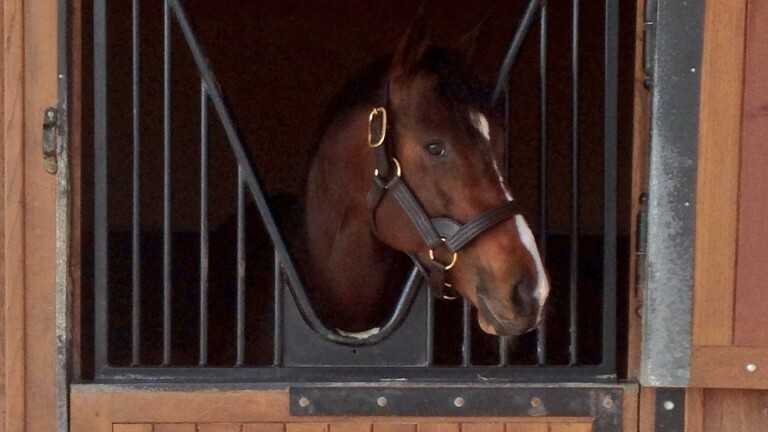 Alex said Le Havre would cover 140 mares at a fee of €60,000 this year with a large contingent from abroad. “He's now definitely an international sire,” he said. “He is more or less an outcross, with no Northern Dancer until the third generation. He can get anything from sprinters – as Suedois has shown – to stayers. Le Havre's success could trickle down to studmate Rajsaman, whose first crop of two-year-olds last year contained the smart pair Brametot and Prinz Hlodowig, with the development of a very 'Cauviniere' cross. Among the mares Cauviniere is sending to Rajsaman this year are Le Havre's high-class daughters La Hoguette, third in the Prix Jean Prat, and Sotteville, who was a Listed winner and Group 2-placed. Alex reported that the aim for La Cressonniere – impressive winner of the Poule d'Essai des Pouliches and Prix de Diane last year but was ruled out of the Arc due to injury – would be to land a Group 1 outside of France to spread the word about Le Havre even further. As well as Le Havre at Cauviniere and Siyouni at Haras de Bonneval, French breeders have another exciting young sire talent close at hand in Wootton Bassett, who from a small, inexpensively bred first crop supplied last year's European champion-elect Almanzor. Wootton Bassett is at Haras d'Etreham, which boasts a dazzling dual-purpose roster as he stands alongside fellow Flat sires Scissor Kick, a well put together son of Redoute's Choice from the family of Dansili, and Elusive City. Saint Des Saints, sire of Djakadam and damsire of Douvan, leads the jumps brigade there. Etreham's Nicolas de Chambure told us Wootton Bassett will cover 130 mares this year and he is expecting his book to be full in a few weeks. 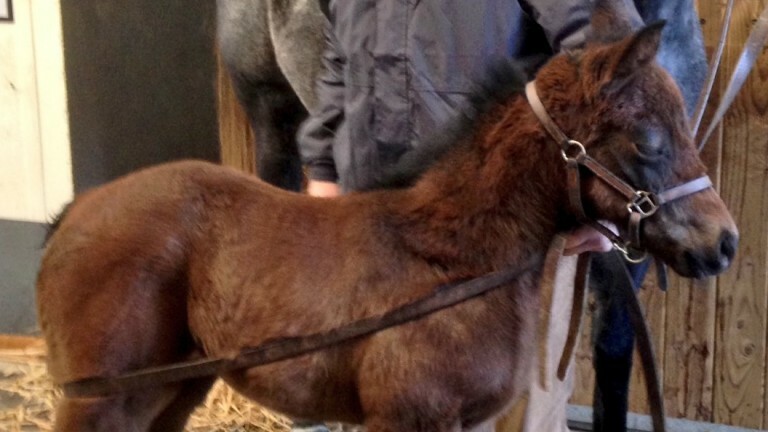 “I'm a great believer in limiting numbers as it preserves the horse's longevity and helps him physically and mentally, as well as benefiting the breeder in the marketplace,” he said. De Chambure was the genius behind the purchase of Almanzor's unraced dam Darkova for just €16,000 at Arqana in 2011. She was bought specifically as a match for Wootton Bassett. Etreham purchased a half-share in Almanzor in partnership with SF Bloodstock last year, so it will be fascinating to see where the colt eventually stands – there or alongside co-owner Gerard Augustin-Normand's other stallions at Cauviniere. For now, De Chambure said Almanzor would be aimed towards either the Prix Ganay or Ispahan, which will be a stepping stone for the Prince of Wales's Stakes, Juddmonte International and Arc.